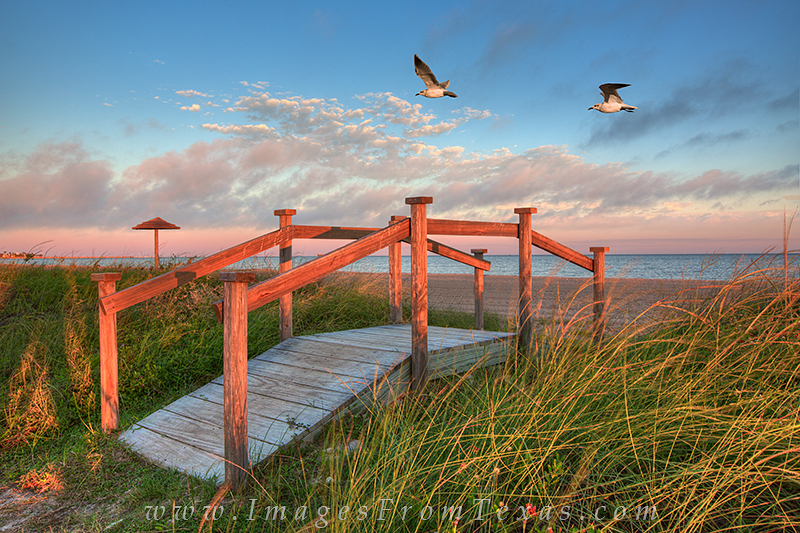 I set up my tripod along the beach in Rockport, Texas, and waited, hoping the seagulls would fly by before the sun faded in the west. After several close calls, I finally captured this photograph of a pair of birds flying against the breeze coming in off the gulf waters. Photo © copyright by Rob Greebon.